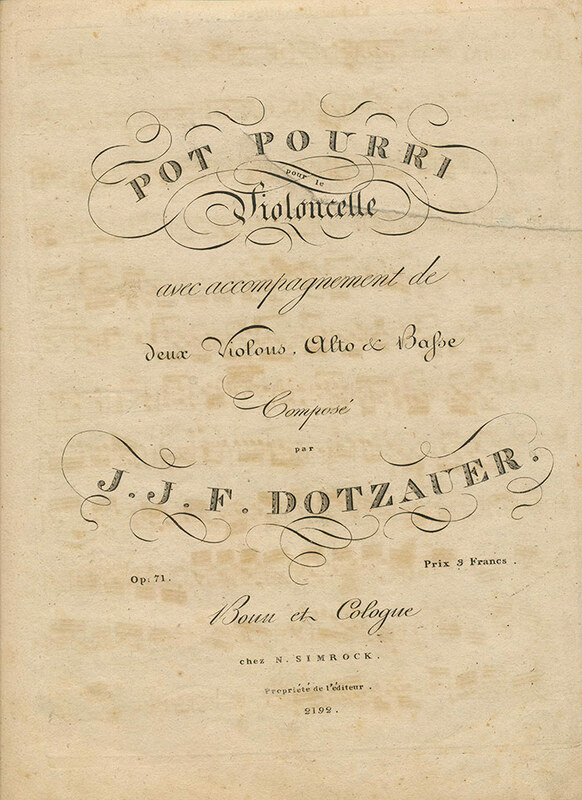 Dotzauer: Potpourri for Cello and String Quartet, incl. Bass, Op. 71. Facsimile of edition ca. 1823 (parts only) and modern performing edition, score and five parts. This Potpourri was apparently published only once, in 1823. It opens with a slow introduction and continues with a theme, possibly original, and some variations. Dotzauer (1783-1860) is best known today for his etudes and cello methods, but he also wrote numerous cello concerti, string quartets, and countless works for cello. Suitable for performance with string orchestra accompanying.